After a lifetime of hard work, harder winters – and possibly hard up for money – how about retiring in Costa Rica. It’s a relatively safe place where the temperature’s always in the 70s, complete healthcare costs less than $50 a month for the two of you, where a two-bed, two-bath house rents for about $300, and the natives love Americans? You can afford to retire in Costa Rica! Find out how retirement in Costa Rica for Americans has become more attractive. Costa Rica is that little piece of paradise lying between Nicaragua and Panama where democracy and political stability flourish and violent crime is virtually unknown. Living there for American retirees is cheap, easy, and fun. Right now there are about 40,000 Americans living in Costa Rica full-time, at least 11,000 of them on Social Security. When Carolyn and I were there in June [Aging Tarzans, Janes Discover Why Americans Love Costa Rica], we spoke with some of them. To a person, they wouldn’t trade their lives in Costa Rica for anything. “Why would I want to leave this?” asks George Lundquist, 66, a former Texan. He and his wife have lived just outside the capital of San José for about five years. And with the exception of not seeing their grandkids more often, they couldn’t be happier. George’s only regret is that he didn’t get to Costa Rica sooner. Most everyone with whom we spoke claimed that a Gringo retired couple could live well there on $2,000 a month or less. Many find they can live on Social Security alone. A single gentleman we met said that he lives well within his $1,200 monthly check. A huge help in deciding where to put your real estate dollar is Scott Oliver’s How to Buy Costa Rica Real Estate Without Losing Your Camisa. When buying property in this foreign country, where laws and procedures are different, Scott’s an excellent guide. This Brit, ex-Wall Street and wealth-management type, fell in love with the “stunning scenery, sunshine and smiles” of Costa Rica, and has been telling it like it is ever since. Earn $80K per year tax-free living in Costa Rica? Rents & Sales Falling & Rising? Want An Expert To ‘Help-U-Search’? The main thing to remember: Go slow. To see a lot in a short time, I’d suggest that you take a tour, like the 10-day Caravan Tour we took in June. Then, once you have a feel for the place, spend some time in and around San José. Rent a car. Go back to places that interested you. Most important: Keep your eyes open and talk to people. We stayed at the Hotel Don Carlos in San José. Their staff is extremely helpful. And when we were there about half the guests were Americans investigating retirement to Costa Rica. Most expats we spoke with recommended that you rent at first. Give yourself ample opportunity to look around for that perfect place. Although many Ticos speak English, a little language effort goes a long way to smooth a path to great relationships. There are at least two Costa Rican English language newspapers. The Tico Times, published every Friday, keeps you up-to-date with local, national, and US news. And the biweekly, Costa Rica Today, is a free paper for tourists. Get them both if for nothing but the ads. Mexico, Belize, Panama, and others all lure Americans to run away to retire. And each has its good points. But in my book, there’s no safer, friendlier, more comfortable place to live anywhere outside the US than Costa Rica. Not to say there aren’t problems. Just a lot fewer in Costa Rica. Once there, you’ll probably agree with George Lundquist: “Nothing could get us to move back north! You need to prove an income of $600/mo. You must be a “legal resident” to be eligible for their generous healthcare plan. $25 – $50/couple for all doctor visits, prescriptions, and hospitalization. Physicians are excellent, most trained in the US. Certainly not as good as the US but better than other Latin American countries. Currently, the roundtrip airfare on American Airlines Miami/ San José is $115 plus tax. Even old hands, tourists who have visited Costa Rica several times, recommend Caravan Tours (1-800.227.2826) at $995 for 10 days. All meals, activities, hotels transfers, transportation, excursions, and even tips included. Plus air. We found it perfect for seeing as much of the country as possible in a very short time. Climate varies from the temperate central highlands of San José to the much warmer Atlantic and Pacific coasts. Remember, you’re only about 10 degrees from the Equator here. Caravan recommends a sweater or light jacket. Carolyn and I each chose to take a lightweight hooded poncho-style raincoat. Plus shorts and loose shirts. A pair of jeans. Casual. Washable. Comfortable water-resistant shoes also are a must. Although the pacing of the tour is excellent and never rushed or strenuous, there is a lot of walking, often in the rain (forests). Laundry service is available at all hotels. And don’t forget your swimwear. As of June 2005, the exchange rate is 475 colones to the dollar. Conveniently, the once almighty greenback is still powerful in Costa Rica, accepted almost everywhere, as are most credit cards. ATMs are found in major cities. Caravan provides purified water at all meals and free bottled water on the motorcoach. Water is safe to drink in most touristy areas. Breakfasts are usually buffet-style featuring many fresh fruits and eggs cooked to taste. Lunches and dinners generally provide the choice of beef, fish, and chicken with local side dishes. All hotels, except those in the rainforests and La Fortuna (where there are five Internet cafés in town), have high-speed Internet connections, often free. Spanish is the official language, but we found that English is spoken in all the stores in which we shopped. US citizens need only a current US passport valid for six months after your date of entry. Costa Rica is a fisherman’s dream, with snook (averaging 14 pounds), tarpon (averaging 80 pounds), red snapper, king mackerel, amberjack, yellowtail, deep-water tuna, Dorado, even sailfish, and marlin. Fly fishermen will enjoy catching bluegill and drum fish. There’s good bonefishing as well. We enjoyed our little gem, the quaint, charming, artistic and historic downtown Hotel Don Carlos. $70 – $80 double room including breakfast. (1-866.675.9259) Ask Steve Constantine for Room 29. The Association of Residents of Costa Rica is a help to some. Others advise taking it with a grain of salt. 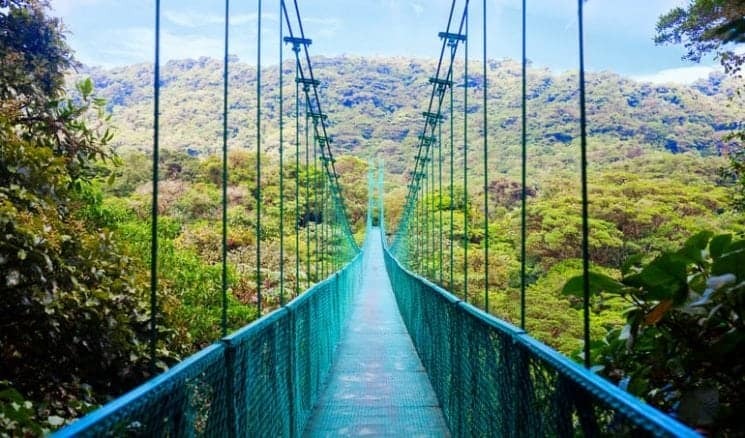 EscapeArtist.com provides information on a number of overseas retirement destinations including Costa Rica. Is this still true today? Is it as expensive as Switzerland? Are retirees still coming here? Should they still consider Costa Rica? I want to debunk these notions and others and suggest that Costa Rica is still a terrific place to retire. You can start a new life there if you are not yet retired; particularly if you choose your location and activities carefully. Costa Rica Is Too Expensive! I have been living in Costa Rica for about a year and a half. I’ve been in and out of the country frequently since 1989. Based on my extensive travel throughout the country in conjunction with my “Boomers in Costa Rica Retirement Tours,” I’ve found that there are still inexpensive areas in which to live. It’s particularly true if you stay away from the close-in suburbs of San Jose. Take, for example, the wonderful city of San Ramon. It’s an agricultural town of 70,000, situated on the northwest edge of the Central Valley. Home to three former presidents including “Don Pepe,” who abolished the army in 1948. It set in motion the basis for today’s robust democracy. San Ramon offers a peaceful environment and offers all of the services of a larger city. These include numerous supermarkets, a mall with a three-screen theater, numerous outstanding restaurants, and warm, welcoming locals. It is also only 40 minutes to the international airport in Alajuela. It’s one hour to San Jose and 40 minutes to the Pacific Coast. San Ramon also offers a wide variety of lots for building one’s retirement dream home. Either in the mountains which the “Tico Times” calls “the Tuscany or Provence of Central America”. Or stunning ocean views properties in which one can see the Nicoya Peninsula, the Pacific Ocean and the bustling port city of Puntarenas. Prices for land still remain low with some lots as inexpensive as $15,000 for a one-half acre lot. $75,000 will buy you an incredible ocean-view lot on 2.25 acres. With another $60,000 to $75,000, you can have an incredible ocean view lot and house, complete with all the services you need, for under $200,000. If you decide you don’t want ocean views, you’ll pay even less, perhaps around $100,000 for a nice lot and home. Property taxes are very low, only .25% of the registered value of your home/land. I paid $66 in property taxes for an entire year! The local government officials even asked me if I wanted to pay my taxes quarterly! If renting is more your style, you can still find nice two-bedroom, modest homes for rent for under $200/month. Low housing costs combined with very low prices on food and utilities make San Ramon an excellent bargain. The towns of Grecia, Sarchi, Atenas, and Puriscal offer excellent value as well; you just need to know where to look or link up with an experienced and knowledgeable local or gringo to help you out. I also eat inexpensively. I spend perhaps a $1.50 for breakfast, $2.00 for lunch, and then I splurge for dinner, perhaps $4-6, and this is if I go out to eat! Of course, if you visit some of this country’s wonderful outdoor markets, you’ll find the freshest meats, fruits, and vegetables, and can cook for yourself and spend even less. I Need Good and Convenient Medical Care! Some foreigners living in Costa Rica complain that the medical system here is overcrowded. It often takes hours to see a doctor. Yes, in some areas there are fewer doctors per capita than in the United States but this generally applies to people living in the San Jose area. It oftentimes relates to people who have elected to get on the “CAJA” system, which is the most basic health insurance program, run by the government, to which most Ticos belong. Once you leave the San Jose area, even if you are on the CAJA, the lines lessen. More often than not, you’ll form a great relationship with an English-speaking doctor who is well-trained. In some cases, doctors even make house calls. There are also other privately-run programs that allow you to see any doctor. These programs are much less expensive than insurance programs in the states. Costa Rica also has several outstanding hospitals. They provide the same level and quality of service that you would find in the United States. CIMA Hospital San Jose, which is affiliated with Baylor Medical Center in Houston, is a brand new facility with all of the new technologies you would find in any top hospital in the United States. In fact, my doctor at CIMA has more advanced technology in his office than my doctor in New York City. Clinica Biblica, also near San Jose, is also another top hospital, with the same quality of service you would find at CIMA. There Are Too Many Tourists! Costa Rica certainly is a well-traveled tourist destination and sees over 1 million holidaymakers a year. If you visit the beaches at Manuel Antonio, the rainforest of Monteverde or Arenal Volcano during the dry season, you will see many North Americans and Europeans. However, living here, particularly in towns such as San Ramon or Grecia, you would hardly know it is the tourist season. These towns and others see few tourists and move at their own consistent pace year round. Actually, visiting tourist destinations during the offseason is a significant benefit of living here. It’s particularly true given that prices are significantly less than during the high season. Costa Rica does count among its residents some 40,000 North Americans, mostly from the United States. They come for a variety of reasons from wanting to leave their corporate careers for more meaningful work to just wanting to retire and enjoy a slower, relaxed pace of life that Costa Rica offers. While these expatriates are scattered throughout Costa Rica, most of them live in the suburbs surrounding San Jose such as Escazu, Santa Ana, and Cuidad Colon. Quite a few ex-pats live in beach communities up and down the Pacific Coast. While a smaller number of people live on the Caribbean coast. However, many people are beginning to take note of the smaller towns in the Central Valley such as Grecia, Sarchi, Naranjo and San Ramon as well as even smaller pueblos surrounding these towns. These towns and pueblos offer a relaxed pace of life, reasonable property prices and an overall lower cost of living. You can live in Costa Rica and not feel overrun by gringos. Or the high prices in other parts of the country. However, if you want to live among “your own kind,” you can do that too! Historically, Costa Rica was a country primarily attractive to retirees; those people in their late 50s or early 60s (and in some cases much older) who wanted a small house, and could live much less inexpensively than in North America or Europe. However, Costa Rica is also beginning to attract a fair number of baby boomers; particularly those people not yet ready to retire. Beyond living a quieter, simpler life, these people are certainly not done working yet. They may own businesses they can run from virtually anywhere. They may also be writers or artists. Still, others are coming here to invest their time and money in new businesses. Many people have made the successful transition from a corporate career in the states to running a bed and breakfast, managing a surf shop, offering tours, investing in real estate, and more much. Costa Rica is a very business-friendly country and the opportunities here are still endless. Like any developing country, it can be hard to maintain the roads in perfect condition all the time. Costa Rica has a rainy season for part of the year. Trucks and cars are forced to share the same, often two-lane road. Fortunately, significant steps are being taken to address these concerns. Millions of dollars have been allocated to new road construction and repair. Costa Rica has come a long way in infrastructure improvements, and it is only getting better. While one can get by without knowing much Spanish, you’ll have a better experience if you try to learn at least some keywords, phrases, and sentences. In addition, befriending a Tico will go a long way in helping you get things done here. On our retirement tours, for example, we provide a post-tour relocation service. We link up our clients with a Tico to help with some critical “post-move” tasks. These include getting a driver’s license, hooking up electricity, phone, and Internet services, and a variety of other things. I couldn’t get by without my “Tico connections” and my Spanish is getting better all the time. But Costa Rica is in Central America! Central America does have a reputation for being very poor. It’s historically a region chock full political chaos, dictators, communists, and meddling by foreign countries. Costa Rica, however, has had a continuous and stable democracy since 1948. The transition to new administrations has been as peaceful as they are in the United States. Yes, there are poor people here but it is nothing like the abject poverty found in Nicaragua or Honduras. Costa Rica also has not experienced the gang warfare that is rampant in El Salvador, Nicaragua, and Honduras. It remains somewhat dangerous in these countries and the political systems are still not completely stable. Housing and land may be much cheaper in these countries. Is it worth paying less to live there if you experience power cuts each day? Or more importantly, live in fear? I’ve also found that people are much more welcoming to us gringos than in other countries in the region. They don’t just befriend us for our money. They are very hard working, genuinely interested in learning about North Americans. For us, it is not hard to integrate into Costa Rica society. I cannot tell you just how many parties and dinners I’ve been invited to in Tico homes since moving here. They are Friendly People Indeed! With over 70 million baby boomers in North America retiring and living longer than previous generations, it will take a lot of money to live well in retirement, particularly in the United States. Is Costa Rica still a good alternative? Yes! Will you do well here and enjoy yourself? Absolutely! Come visit and introduce yourself to the wonderful people and natural environment that we still call paradise. We’re here, living our dreams, and happy to help you!